In 1996, I found myself on a train to Mon State in Burma. Our progress was glacial as the ancient carriages swayed and groaned along uneven tracks. Hours into the journey, while I gazed at the beauty of the landscape, the train came to a halt and I could hear the sound of clinking metal. I looked up and saw an enormous quarry, carved out of the hillside, surrounded by watch towers. Groups of men were working under the nonchalant gaze of guards with rifles. The chains around their legs rattled as they crushed rock under a blazing sun. Their movements were slow. I went to grab my camera. The carriage suddenly lurched forward and the apparition disappeared from the window, replaced, once again, by the green countryside. 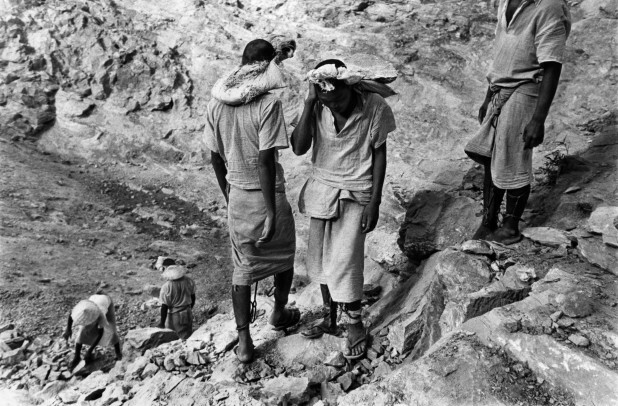 Prisoners carrying out hard labour was not, in itself, indicative of Burma’s situation; but thousands of activists had been thrown in prison as common criminals. Often they were sent to labour camps like this one. Some died from torture and beatings. That is how it was in Burma. One minute I’d see something, the next it would vanish. Such fleeting glimpses left me questioning what I had witnessed; like the time I saw a man being taken away on a Rangoon street, or a group of chained men being marched along a road in the Ayeyarwady Delta. These momentary glimpses were just enough to disturb the picture-post card image of a country that the military junta wished to promote. Four years earlier, in 1992, I was just starting out as a photographer and had run out of money. I was offered a place to stay with the Jesuit Refugee Service in Bangkok. There I met political exiles, mainly students, who had fled the 1988 crackdown in Burma. 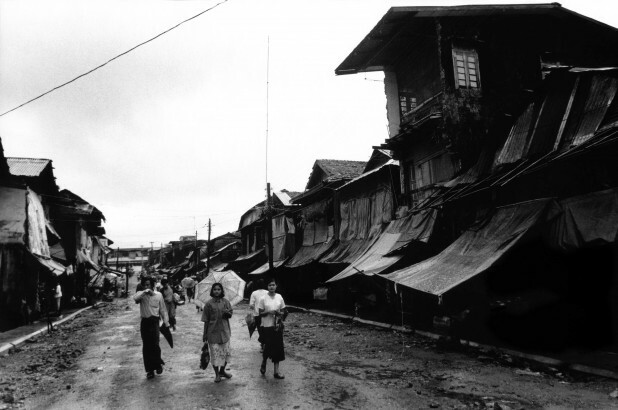 We were the same generation and I remember thinking that had I been born in Yangon, I might have been one of them. 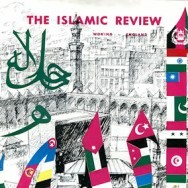 It was from that compound that an English-language magazine called the Irrawaddy was born. 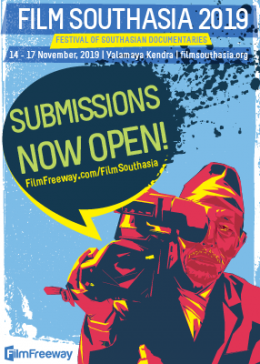 Run entirely by these former students, it set out to provide a ‘Burmese perspective’ on the situation in the country. Later, they often supported my trips inside the country in exchange for the use of the photographs. 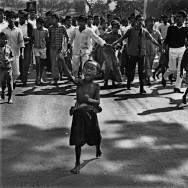 As a foreigner, I was in a privileged position; I could traverse the country and gather photographs that ordinary Burmese citizens could not. For 20 years, I made frequent trips to the country. Sometimes I would stay for months on end. I photographed insurgent armies in the jungles, refugee camps in Thailand and Bangladesh. I photographed the democratic opposition, prisoner and forced labour in different parts of the country, and always as a tourist; journalists were rarely welcome and their trips was carefully managed by the regime. One question kept nagging me: how could a reviled military hold onto power for so long? 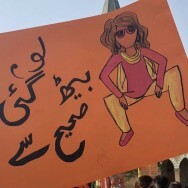 It was a simple question that western activists and media were unable, or perhaps unwilling, to explore because it muddied the ‘good’ versus ‘evil’ portrayal of the situation. 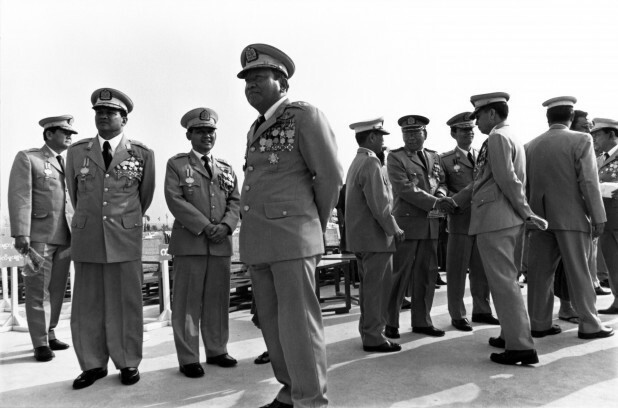 The junta’s hold on the population, I began to realise, was a complex mixture of coercion and collaboration. There was no need to have soldiers on the street; people policed themselves. Spies and informers permeated every strata of society, including all ranks in the military. Nobody knew who might be watching at any time. Petty revenges could be exacted on the pretence of ‘unlawful activities’. People’s lives were governed by fear. But they also needed to survive. When I began visiting Burma I knew very little about the situation. In the West, it was portrayed as a struggle between good and evil; between Aung San Suu Kyi and the generals. One the one hand, some argued, that stories of repression had been greatly exaggerated. These were mostly businessmen keen to invest. On the other, were the activists whose voices became increasingly shrill. In the end, I wanted to find out the situation for myself. I wanted to show what life was like under the military and to capture it in all its complexities. I set about creating what I hoped would be iconic images of the dictatorship that described the ongoing oppression. When I first went to Yangon, in 1995, I expected a heavy military presence. After checking into a guest house in the centre of the city I made my way through the streets of mouldy, old buildings to a noisy biryani shop. I sat and watched the bustling crowds on the streets go about their daily business. Everything appeared normal. There were no soldiers to be seen. It was lively and colourful – not what I expected. 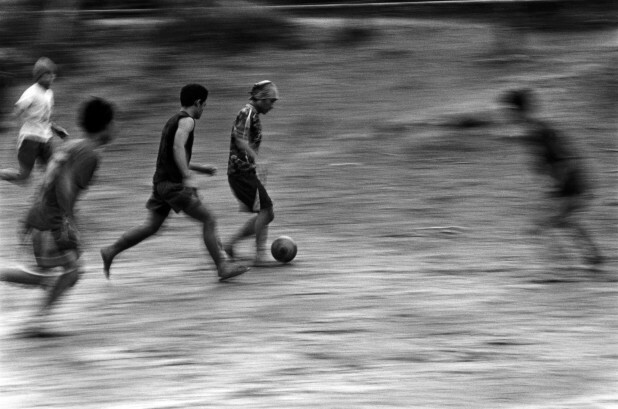 I began to wonder if taking pictures of the dictatorship was beyond photography. The situation presented a unique challenge: how do you photograph what can’t be seen? I realised taking photographs was going to take time. To get the kinds of photographs that really ‘spoke’ of life under military rule, I would have to keep going back because so much of what was going on was either hidden from view, difficult to photograph, or forbidden by the regime. 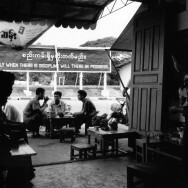 One photograph I took in Pa An, in Karen State showed a billboard opposite a tea shop. The billboard was erected by the military with the slogan: “Only when there is discipline, will there be progress”. It was one of the few times the regime made its presence known. In Burma, teashops are found all over the country. 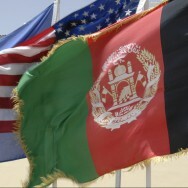 Traditionally, they are meeting places where many discussions and debates takes place. The positioning of the signboard may have been accidental, but the 1988 uprising began after an incident at a teashop in Rangoon. 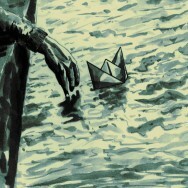 Images like this become pregnant with meaning when the context is understood. I wanted to create a sense of a being watched and of conspiracy, where people are forced to talk in riddles and whispers. 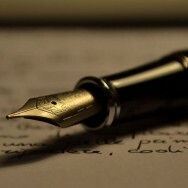 Words, for me, became important in order to explain what could not be seen. On their own, photographs can’t show anything. 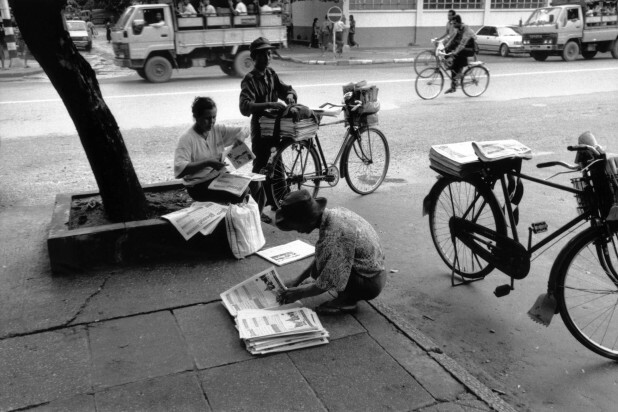 For instance, the image of a paper-round in Yangon: what could be more ordinary than newspapers being delivered? But when I took the photograph, in 1996, journalists were imprisoned. Everything was heavily censored and editors and journalists had to be very careful to ensure that they didn’t fall out of favour with the regime. Without words, the scene is deceptively ordinary. Other ways in which the regime managed to hold on to power were more easily understood. The climate of fear was sealed by the smiles of people who were terrified when the conversation slid off topic. 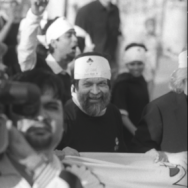 During the heady days of 1988, when it appeared that an overthrow of military rule was inevitable, hundreds of thousands protested against military rule. Many believed change was simply a matter of time. The military responded with ferocity – and thousands lost their lives – people were beaten into submission and faced brutal and uncompromising power. For many in the West, the uprising assumed near mythical proportions; many activists and many in the media hoped for a similar uprising. But the last thing ordinary people in Rangoon wanted was a repeat performance. Later when I searched film archives for footage, I found myself viewing protesters beating suspected spies and holding up severed heads. Many soldiers and members of the armed forces had also taken part in the protests calling for the restoration of democracy. This muddied my simplistic version of a victimised population brutalised by the army. There were other situations in Burma where a rather crude curtain was erected concealing what was really going on. One time, in 2005, I was in the town of Nyaung Shwe in Shan State. Novice monks were forced to attend a ceremony during the visit of a general to the town. Generals were conspicuously, and regularly, seen making merit at various religious ceremonies throughout the country. These events were televised to demonstrate their good Buddhist credentials to the nation. People were forced to line the roads and wave flags to give the impression that the generals were genuinely popular. Again, with photography it was hard to get an image that didn’t conform to the very image the generals were intent on promoting. In the south, I photographed a road to a market widened on orders by the military which destroyed the fronts of homes. 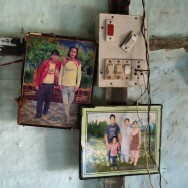 The front of each house was torn away by the authorities and the owners were given no compensation. Tarps were used to stem the constant drizzle of the monsoon coming in from the Bay of Bengal. Thousands of people are forced by the junta to vacate their homes with little or no compensation to make way for military or commercial ventures, including tourist sites. Here too, without the background, it was an unremarkable street scene in a poorer part of Burma. Burma is a heavily militarised society with one of the largest standing armies in Southeast Asia, Hundreds of thousands of ordinary Burmese rely on this institution to survive. The patriarchal networks that govern Burma under military rule are still very strong, underscored by a Burmese Buddhist national identity that, in many ways, lies at the heart of the country’s crisis, particularly the civil war. Burma is home to the world’s longest ongoing civil war. A key mission of the junta’s propaganda was to exploit the widespread fear of the country being broken apart by ethnic insurgents. The people have been deliberately kept ignorant of the true nature of the war. To the outside world, the insurgencies have appeared separate to the issue of totalitarian repression: in fact, they are inseparable. The civil war has been central to the regime’s justifications for its hold on power. Although the military have conceded a certain amount of power since the election of 2011, it isn’t going anywhere soon. It is the principal power in the country and its largest employer. Prisoners doing hard labour. Tone Le Lone, Shan State, June 2005. 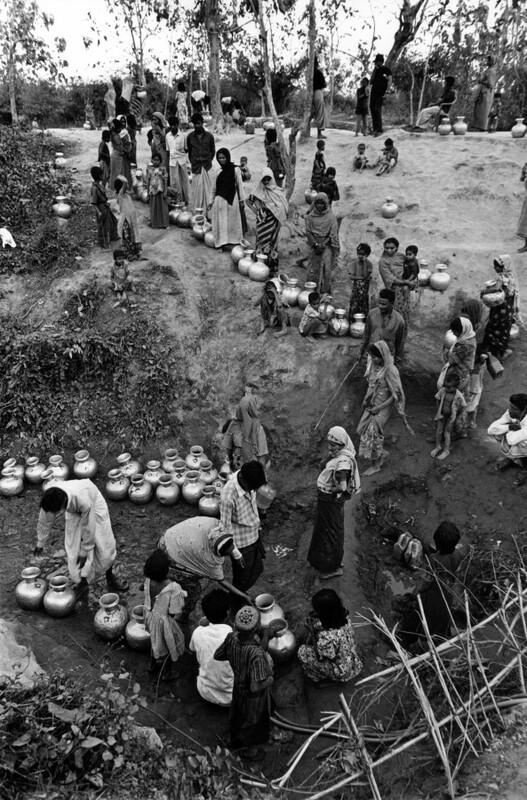 One of the biggest problems faced by the Rohingya in Bangladesh is access to clean water. Water borne parasites and malnutrition are rife and the threat of outbreaks of disease ever present. Here the refugees collect dirty water outside the camp. Teknaf, Bangladesh, March 2007. Pa An, Karen state 1998. Teashops are found all over Burma. Traditionally they are meeting places where many discussions and debates take place. 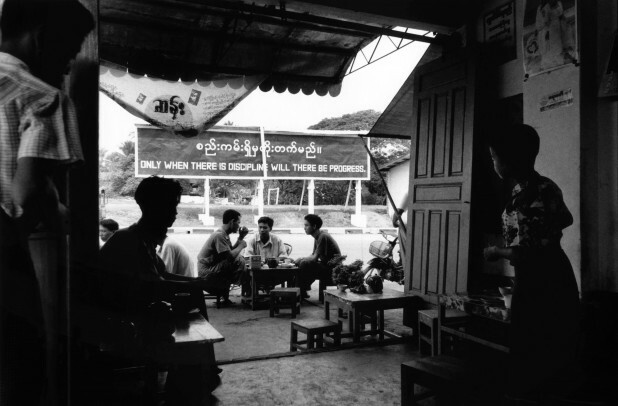 The positioning of the signboard in this photograph may be accidental, but the 1988 uprising began after an incident at a teashop in Rangoon. 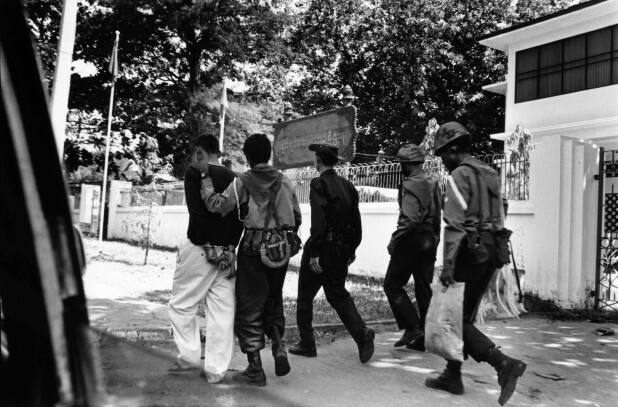 A handcuffed man is led away by police and an intelligence officer, U Wi Za Ya road, Rangoon, March 2005. Paper rounds in Rangoon. Burma’s media is heavily censored by the Press Registration and Scrutiny Department under the junta. Burma, 1996. Road widening by the junta in Burma to make way to the new market in Moulmein. The front of the houses were destroyed by the junta and the owners given no compensation. 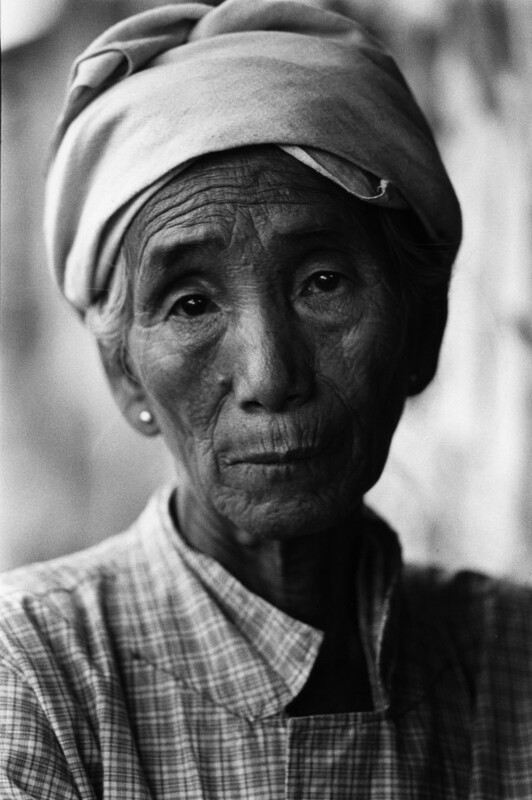 Moulmein, Mon State, Burma, 1996. 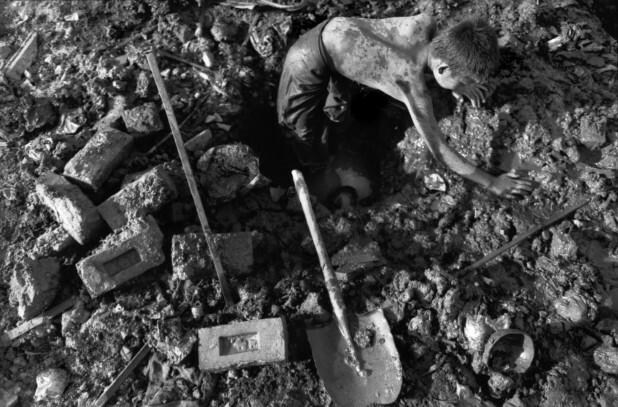 A boy salvages brick from destroyed houses from a forced relocation. 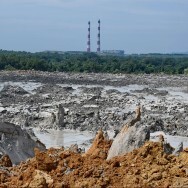 Residents of the area were given two weeks to move to an area outside the city. Thousands of people are forced by the army to vacate their homes with little or no compensation to make way for military or commercial ventures, including tourist sites. A large shopping centre was built, on this site. 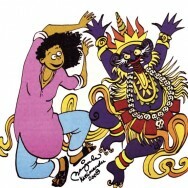 Mandalay, 1996. 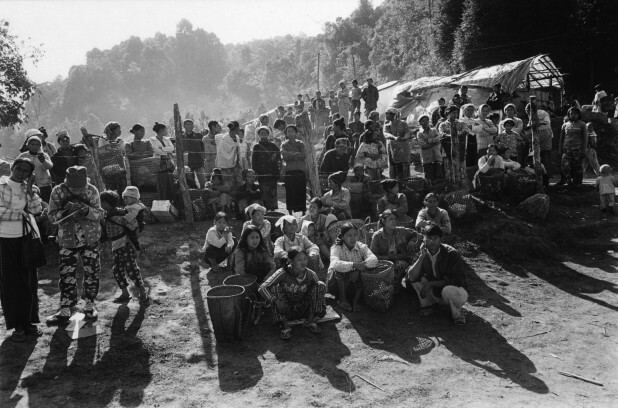 Internally displaced persons in the Je Gau refugee camp, Kachin State, Burma. Home to 2000 refugees. Since June 2011, more than 70,000 have been displaced by a resumption of hostilities between the Burmese army and the Kachin Independence Army. 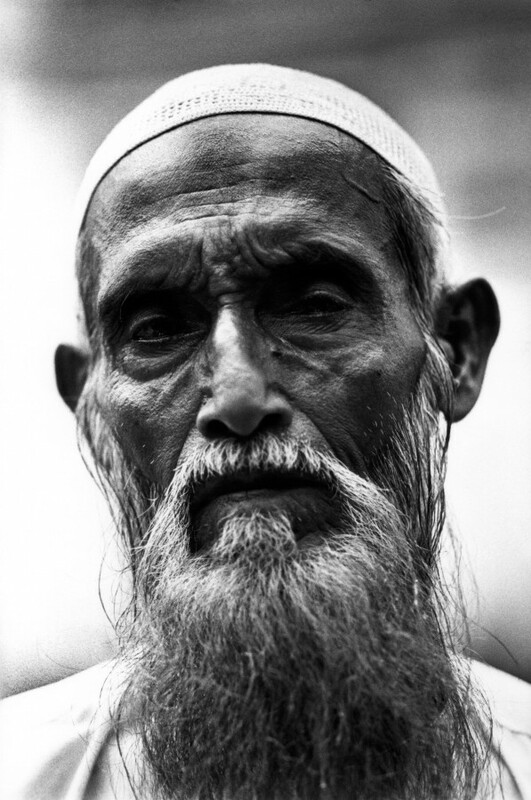 Rohingya man at Jama mosque in Sittwe, Arakan State 2006. 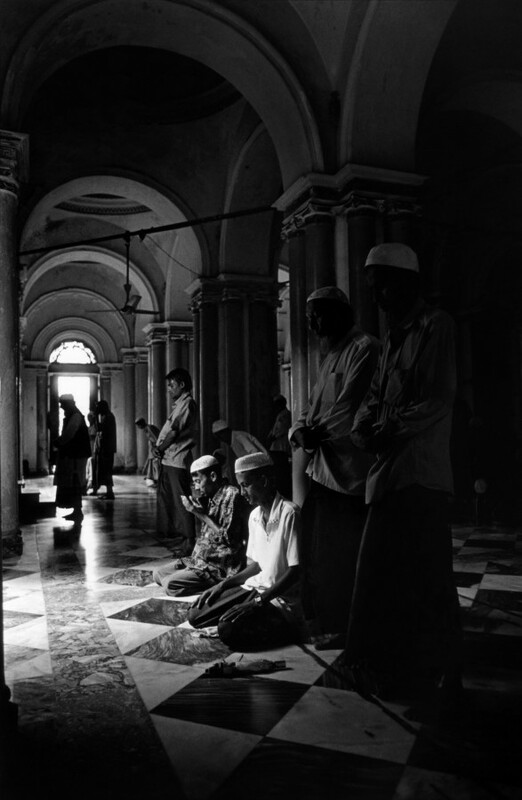 Jama Mosque, Sittwe, Arakan State 2006. Refugees in Mae La camp in Thailand let off steam during the World Cup in 2006. There are more than 140,000 refugees on the Thai Burma border. Thailand, 2006. 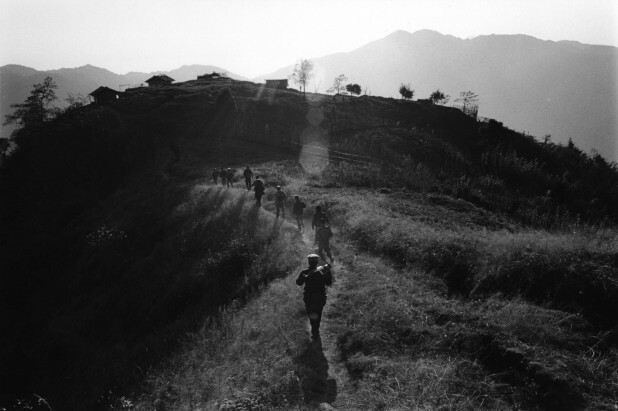 The Kachin frontline at Bum Sen post, 7,500ft above sea-level, Kachin State, January, 2012. 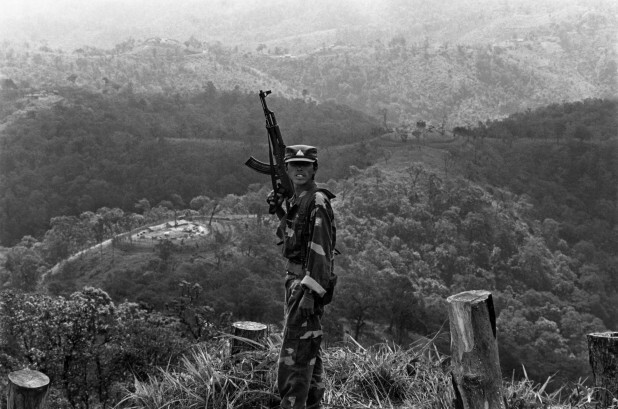 A soldier of the Shan State Army stands guard on the frontline. Behind him is a hill top outpost belonging to the United Wa State Army allies of the Burmese military and Burma’s largest drug cartel. The Shan have been fighting for an independent state for decades. December 2005. 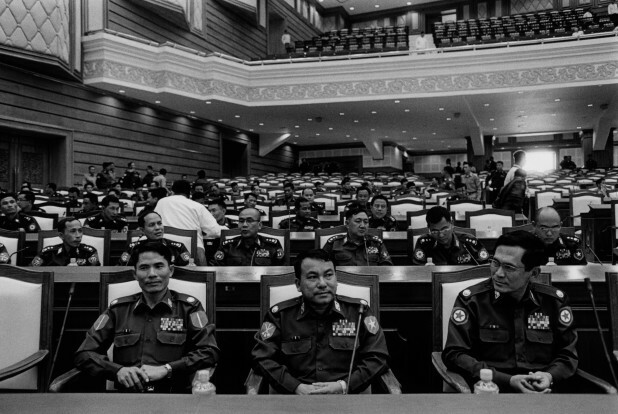 The unelected in Burma’s new parliament. Military commanders take their positions in the new parliament building. The Pyithu Hluttaw, or the lower house of Burma’s parliament, was dominated by former soldiers, their positions guaranteed under a constitution which was ratified after a fraudulent referendum in 2008. The generals of Burma’s military regime on Armed Forces Day. In the centre is Lt. Gen. Aung Htwe, commander of the Bureau of Special Operations in Karenni and Shan States, where his soldiers raped and killed villagers. Nay Pyi Daw, 27 March 2007. Flanked by her body guards, Aung San Suu Kyi addresses her supporters at the gate of her home on University Avenue. 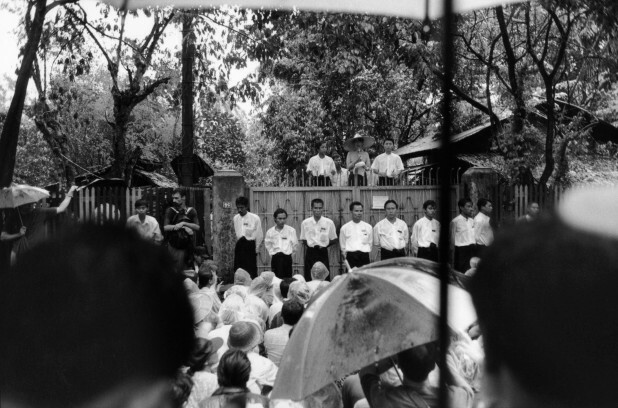 The following year, these speeches were prohibited altogether and many youth members of the National League for Democracy fled to neighbouring Thailand, fearful of arrest. Rangoon. Jayang refugee camp Kachin State. Some of the 70,000 refugees who fled the fighting when a 17-year-old-ceasefire broke down between the Kachin Independence Army and the Burmese army in June 2011. Kachin State, January 2012. ~ Nic Dunlop is a Bangkok-based photographer and writer represented by Panos Pictures. His book Brave New Burma, a portrait of Burma under military rule spanning two decades is published by Dewi Lewis Publishing.